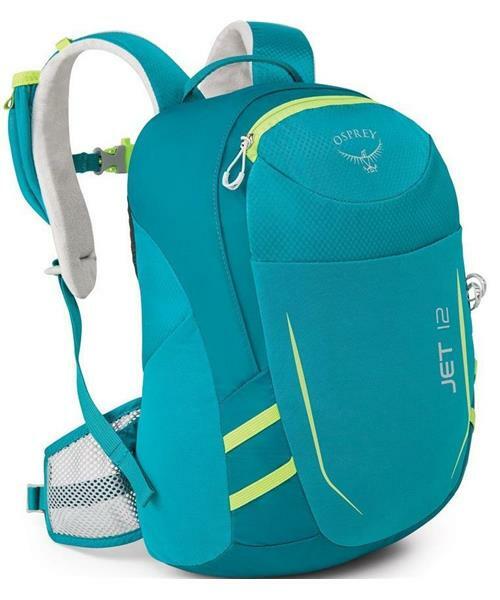 Osprey’s Jet 12 is just right for first time hikers who are big enough to carry their own gear. Although sized for kids, this pack has features also found on Osprey’s adult sized packs. The mesh back panel provides ventilation and the fleece-lined shoulder harness is comfortable all day long. A webbing hip belt with mesh wings and a sternum strap keep the pack stable, even when the wearer is running full tilt. The pack has number of pockets to keep your kid organized. The external zippered pocket is perfect for snacks or lip balm while the internal zippered pocket is good for small items that need a more secure home. Dual stretch mesh side pockets give youngsters a place to store new found outdoor treasures such as shiny rocks or colorful leaves. There’s also a stretch mesh pocket on the shoulder strap for easy access to an energy bar or fruit roll up. An external reservoir pocket makes refills easy and reduces the chance of moisture inadvertently entering the main compartment. Because Osprey knows the secret to a happy kid is warmth and the secret to warmth is always having a dry layer.